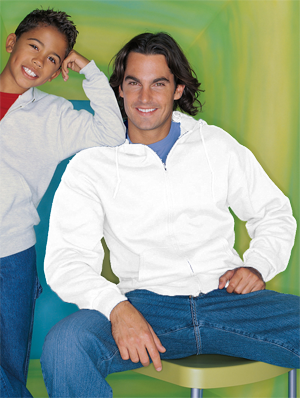 Sweatshirt with Full Zip Front. - Rib cuffs and waistband. - Youth sizes come without drawcord. 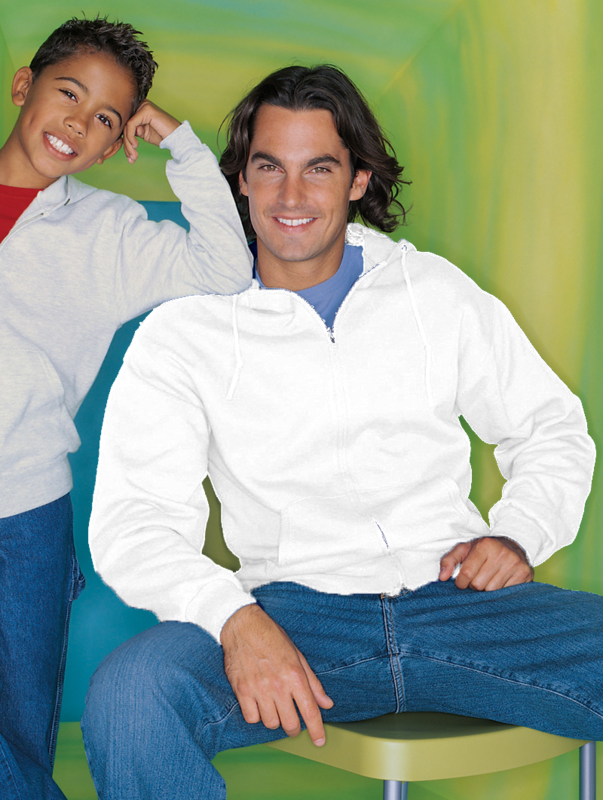 Jerzees 8.0 Ounce Adult NuBlend 50/50 Cotton/Polyester Pre-Shrunk Hooded Sweatshirt with Full Zip Front. Single ply hood with grommets and matching drawcord. Front muff pockets. Rib cuffs and waistband. Concealed seem on cuffs. Seamless body with set-in sleeves. Aluminum zipper. Youth sizes come without drawcord. CPSIA compliant. DISCONTINUED. Quantities Limited.